That’s the name of the film the government made in 1936 to scare folks from ever trying marijuana. “Women cry for it – Men die for it!” the poster ominously warns. Things have changed a lot in 82 years. The baby boomer generation for one: they are just ten years or so away from a dream they’ve had since the 60’s – the legalization of marijuana. And that means there’s money to be made. A lot of money. But all the flower power on earth won’t help you pick the winners from the losers. What you need is a plan. A framework for making investing decisions in the cannabis space. The good news is that there are well-established rules to investing in a new industry. General rules that are universal to modern western-style capitalism. Just because an industry grows fast – as cannabis is expected to – doesn’t mean there’s easy money to be made. For instance, in 1960 the combined US airline industry sold 10 million flights. By 1970 the industry had grown to 100 million annual flights, a 1,000% increase. You would think that an industry that grew 10 times larger in 10 years would make everyone a fortune. But collectively, the industry lost $200 million in 1970. Because a ton of entrepreneurs poured a ton of money into the airline industry as a “gold rush” mentality set in. 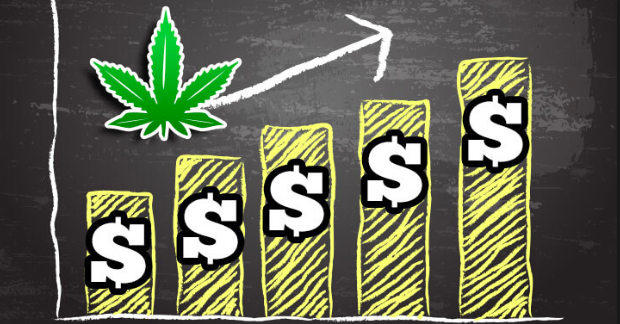 By 2027 the global cannabis industry is expected to be $50 billion industry, according to Forbes. That means everyone is fighting for $10 billion in profit, assuming 20% profit margins. $10 billion in profits is big money. Real big money. But not if folks invest $500 billion to earn it. That’s how an industry can be 1,000% bigger in its tenth year and lose $200 million. (1) Retailers: These are the companies that sell directly to consumers. It includes everything from general retailers (i.e. 7/11) to physical stores that emphasize the customer experience (i.e. Starbucks). It also includes both online vendors and pharmacies. (2) Manufacturers: These are companies that take the raw cannabis leaf and process it until it becomes a consumer brand. Think Phillip Morris and its Marlboro brand. (3) Farmers/Growers: These are the companies that plant the actual seed on the land and grow the product. Think your typical North Carolina tobacco farm. (4) Scientists: These are the egghead geneticists that invent seeds that offer farmers higher yield so that their farms stay competitive. Think Dupont. New industries bring new entrepreneurs. That’s the great news….the bad news is that most of them will make the mistake of trying to become vertically integrated and do everything in-house. I’ve heard of farmers who want to manufacture their own crop to create a brand name for consumers. Then they want to retail it themselves thru Starbucks-style stores all across Florida. This is a grave mistake. Specialize. Using the airline industry example from above: airplanes cost a lot of upfront money to buy. Then you have to hire flight attendants and buy fuel and meals and so on. And only then can you begin selling tickets and making money. The same rules applies to farming: lots of big upfront costs before you ever get a chance to bring your products to market. Even worse, they’ll be competing against firms that spend all their time trying to master one speciality. No way you’ll beat them by spending 1/5 of your time trying to master it. But I have the munchies so I’m going to stop now. If there’s only one thing you take from this article…can’t finish…getting sleepier and sle….